Final High Point Count- Please review and lets us know if there are any corrections. Members please review and if there are any questions please refer to HIGH POINT RULES, this should answer most questions, if not email Jimmy Sherrell at ibwalkin@dtccom.net before Nov. 8th. There will be no changes after being presented to board members on Nov. 10, 2015. The UCWHA Horse Show scheduled for tomorrow, Oct. 3rd, has been canceled. We will post here if the show is rescheduled. We need sponsors for our Fall Show on Oct. 3rd. Please ask anyone you know who may help. Please, mail this form by September 28th. Congratulations to Cassi Slagle, the 2015 recipient of the UCWHA Scholarship! Notice to Members: Items are needed for our “Silent Auction” fundraiser at the Putnam County Fair Show on July 18. Everyone please try to bring an item. I just wanted to inform you of some things that are going on in our club. 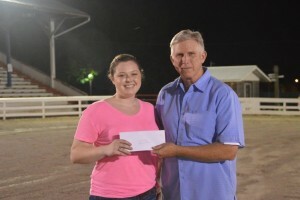 We were contacted by the Putnam County Fair Board to assist them with the annual Walking Horse Show this year. The board members have decided to copartner with them for the event. We all have a common goal and that goal is to promote the breed of the Tennessee Walking Horse. The show will be on July 18, 2015. We are currently working on the class sheet for the show and it will be posted on the website soon. The club will also have a silent auction at the show. We need everyone’s help in order to make this a successful event. We are asking anyone who can collect or donate items for the auction to contact one of our board members. Our contact information is listed on the website. If you prefer to bring the item the night of the show we will gladly accept it then. If you are able to help out with the show or auction we would gladly accept your help. It takes a lot of manpower to put on a successful show. The money made from the auction goes toward scholarships for our youth members, our annual awards banquet and other activities for our members. This year we had one scholarship submission. A copy of the scholarship form is posted on our website a couple of months prior to the deadline. Cassie Slagle is the recipient of this year’s scholarship. Cassie is a well-deserved recipient. Cassie placed in the top 10% of her 2015 graduating class of 580 students and with honors. Cassie will enter Tennessee Tech this fall as a sophomore. She has been around walking horses all her life. 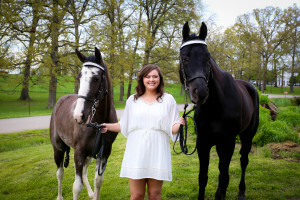 She has shown walking horses since she was 8 years old. Cassie has been a member of our club since 2007 and actively involved in our club, always willing to help out. She has received numerous awards from our club as well as the E.T.W.H.A, WHOA and the Walking Horse Report. Congratulations to Cassie for her achievements. We wish her the best in her future endeavors. If you haven’t joined our club or paid your membership dues we encourage you to do so. If you join you will qualify for the high point awards program from that date forward. Dues are $15.00 for individual or $20.00 for family membership with children included up to the age of 18. Also mark your calendars for October 3, 2015 for our clubs annual show. It will be held at the White County Fairgrounds. Look for more information coming soon. We hope you all will be able to attend both shows. All horse owners & riders/handlers must be members of UCHWA for high points to count. All horses must be registered Tennessee Walking Horses except horses showing in Country Pleasure. All points will be awarded to horse and will stay with horse if sold. If sold to non-member, last owner in good standing will receive points. To fully participate in the point system for the full year, membership must be paid prior the first point show. Members who join after the first point show will only be eligible to acquire points during the period that they are a UCWHA member in good standing and with fully paid dues. Memberships are good for one calendar year. Memberships may be held by family or individual. A family membership is defined as a husband, wife and any children (does not include grandchildren) who are under age of 18 on January 1 of the current year. Any family member who turns 18 as of January 1 must have a separate membership. both classes. Only classes from a UCWHA affiliated horse show will count. Horse Industry Organization (HIO) records will be the official record used for counting points. High Point Awards are given out to the first and second place horses in each category at the annual Awards Banquet. “Trainer of the Year” award will be presented to the trainer based on total points accumulated at high point shows by member or trainer on horses trained and presented at registration and inspection in that trainer’s name. Trainer, owner and rider must be member of UCWHA with dues paid. Trainer awards will pay $200.00 for first place and $100.00 for second place. Pleasure Horse of the Year- based on total points accumulated for horses shown in amateur, youth and open flat-shod walking classes at any UCWHA high point show. The rider and horse owner must be members in good standing to qualify. Points will only be accumulated from approved high point classes. Flat shod classes are defined as country pleasure, trail pleasure, lite-shod and park/plantation pleasure. not combine from one division to the other. High point shows with location and dates will be posted prior to show season. Changes in schedule may be made by the Board of Directors if necessary and shows may be added with 30 days’ notice prior to the added show date. High point awards will be presented to Board of Directors for final approval at the November meeting; no changes will be made after this time. Board of Directors will have final ruling on any changes or questions.